This week, the US patent office issued 6,746 patents. Each patent adds a little something new to the human knowledge base. As we can’t list all six thousand, the PatentYogi team has selected the six most interesting patents. LinkedIn filed a patent for a simple intuitive technique to pair multiple devices. Users can pair devices by placing the devices next to each other and performing a simple gesture such as one figure circle gesture (shown in the figure), which is a continuous gesture performed on the touchscreens of multiple devices with at least one entry point and exit point on the touchscreen of each device. Once the pairing is done, users can share data for example, business cards. Google wants to use radar recognition to perform better searches. 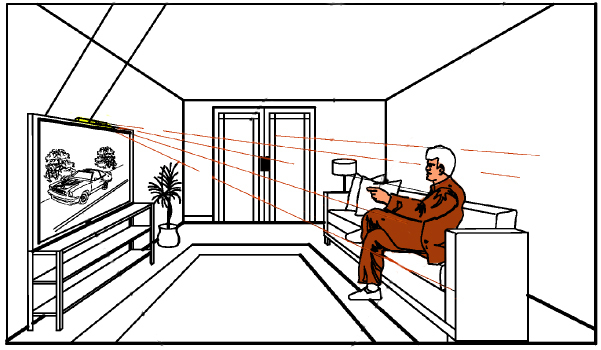 The patented techniques enable improved computer-aided searches through additional information provided by radar-recognized gestures and physiological information. For example, when someone’s watching TV on their computer, and they see a cool car, they simply point at the screen and ask “what kind of car is that?” As simple as that, hey’ll receive search results for the particular car shown on the television. The radar field may be created by a smartphone or any other device in the vicinity. Earlier this week, Google owned Boston Dynamics’ released a video showing capabilities of their latest Atlas humanoid robot. The video shocked the world, as the robot is eerily human-like. It is able to walk on uneven terrain, almost like humans. This patent application from Google reveals some techniques that help these robots maintain balance while walking on such complex terrains. One crucial feature that helps the robots maintain balance is to continuously monitor the relationship between the orientation of the robot body and the jointed limbs. Ford patented a support system for bicycles that deploys automatically, enabling riders to never need to put their feet down while riding. Which will be a great relief for bicycle riders across the world. Currently, riders constantly need to put their feet down when stopped at a traffic light, slowing down, etc. Further more, people with limited ability to use their legs can also safely ride bicycles. Disney filed a patent for providing custom surface reflectance to surfaces of 3D printed objects. Existing 3D printers have enabled manufacturers and consumers to print 3D objects from 3D models with high accuracy. However, they still cannot directly replicate the reflection properties of an object being created with a 3D model. The patented technique involves printing an outer or micro-surface (e.g., a reflective skin) that has multiple sets of reflectance properties. Google patented design of Google Cardboard, the low-cost head mount for a mobile phone developed by Google to provide virtual reality experience to users. The device was launched to encourage interest and development in virtual reality (VR) and augmented reality (AR) applications. Google has released details of the designs so that users can build their own devices from simple, low-cost components. The company is also creating a plastic viewer that includes electronics but still requires a smartphone, as well as a standalone viewer that requires no extra console, computer or smartphone. We’re hoping that as it’s they’ve now patented the design, Google might plan to start selling directly to consumers.